On the Making Vinegar site, you will find everything you need to learn to make vinegar. We offer both courses and books on making vinegar. In our shop you can buy everything for making vinegar yourself – from the vinegar equipment to analysis equipment and yeast. We also run technical forums and provide online calculations for all the necessary formulae, e.g. for determining the acetic acid. Vinegar seminars – How do you make vinegar yourself? In our practical vinegar seminars, you ferment using the surface process and the captive process with a vinegar generator, so during this course you can perform all the individual steps yourself to make vinegar. Naturally this also includes learning how to analyze and calculate the required quantities of acid, alcohol and water for making vinegar successfully. You can also try out a great variety of vinegars during the course of the seminar. These courses on making vinegar can be completed at your own pace and wherever you are. We offer a complete online vinegar course in which you will learn all the steps for making vinegar yourself in a hands-on way. There are also short videos that explain individual focal points for making vinegar yourself. 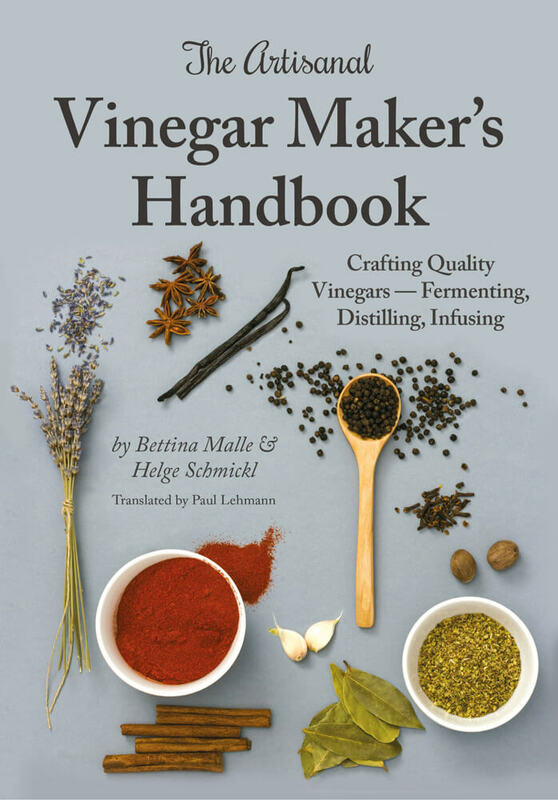 If you would like to ferment vinegar yourself, then you will find out all the steps in The Artisanal Vine gar Maker’s Handbook – from the fruit harvest, alcohol and vinegar fermentation to storage – in a hands-on way, so that nothing should now prevent you achieving the perfect vinegar. You will also find numerous recipes in the book for fermented vinegars (balsamic vinegar, herb vinegar, wine vinegar, apple vinegar, etc.) and infused vinegars. The Artisanal Vinegar Marker’s HandbookRead our book The Vinegar Maker’s Handbook to learn how to make high-grade vinegar at home. 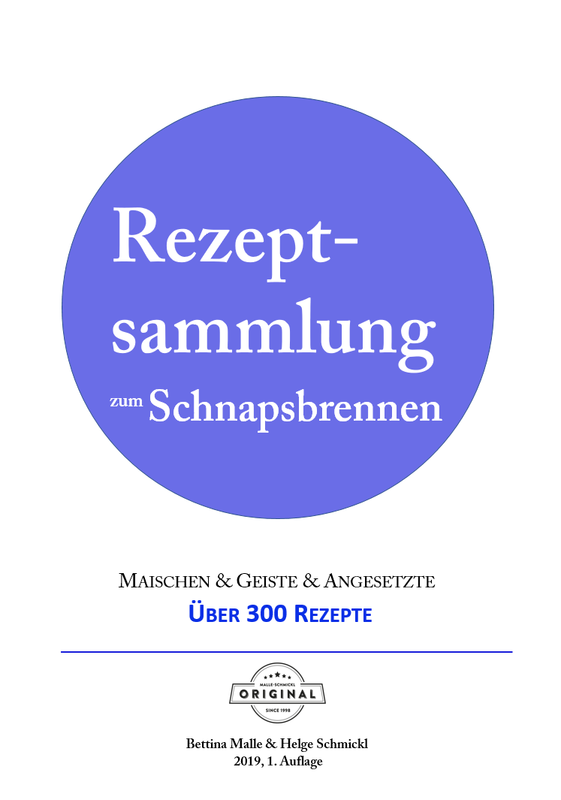 The book describes the whole process of fermenting vinegar and explains necessary equipment for vinegar production. 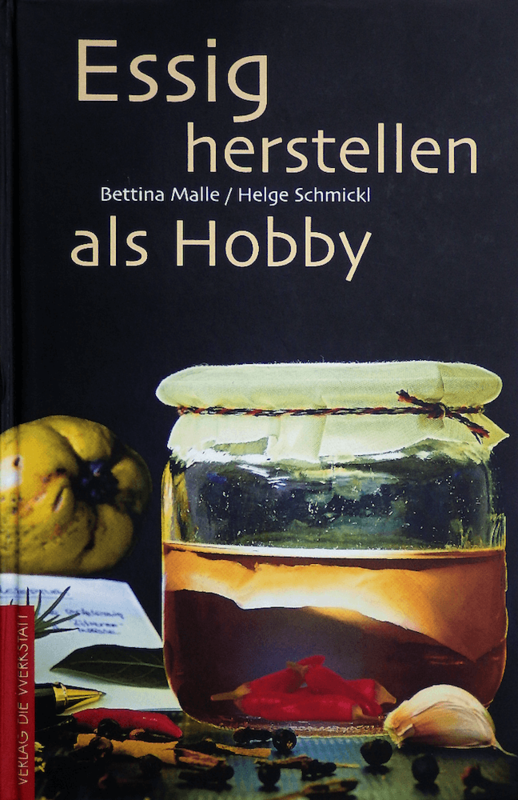 Essig herstellen als Hobby – das PraxisbuchWenn Sie hochwertigen Essig selbst machen möchten, lernen Sie die Kunst der Essiggärung mithilfe praxisnaher Anleitungen aus unserem Buch Essig herstellen als Hobby. To ferment vinegar yourself, you need not only the materials, but also the respective expertise. You can perform all the calculations for your vinegars free of charge and without registration or participate in the various forums. Also observe the 6 rules for buying or building your own vinegar equipment. In our short guide you will find out how to make vinegar in 5 steps. 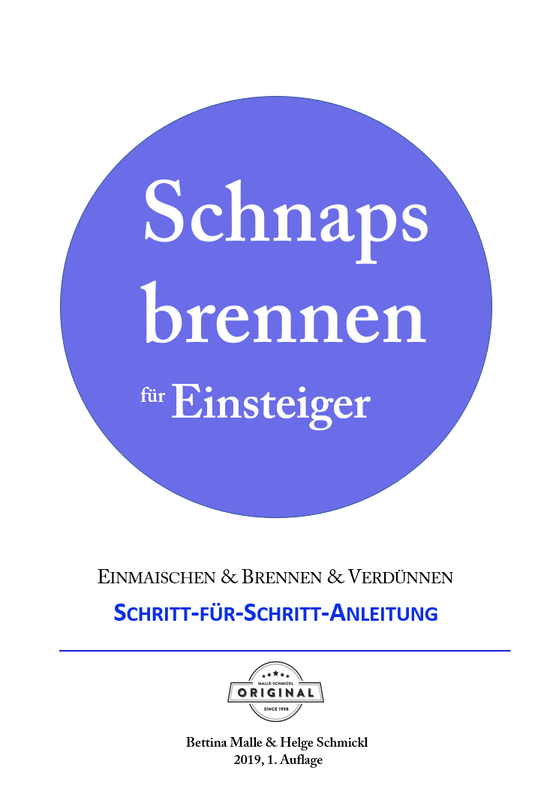 schnapps stills, measuring devices, yeast, books. We offer only selected branded goods, and our stills are made exclusively for us.